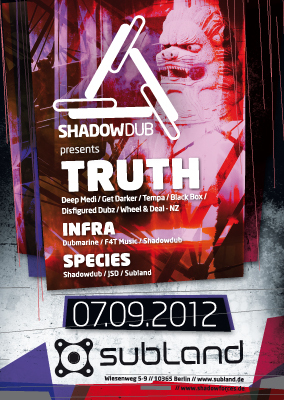 Defy records and TRUTH are very excited to announce the imminent release of the new Truth album “Love’s Shadow”. 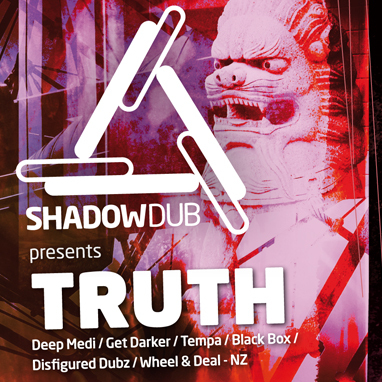 Deciding to break the usual album format, the new Truth LP will be released in the form of an album sampler and two EPs… all free for their fans to download!The album includes collaborations and remixes from some of the world’s top dubstep producers including: J:Kenzo, Biome, Seven, Dubtek, Megalodon, Perverse, Vicious Circle, Riskotheque, DJ Madd, Von D, Kromestar, Datsik, Crushington, Yayne Antiserum, Optimus Gryme, Dutty Ranks and more. Album sampler (2 tracks)On this date TRUTH are making remixes by Perverse and J:Kenzo available via a secret link to their SOUNDCLOUD followers who will have exclusive access for one week before the general public!